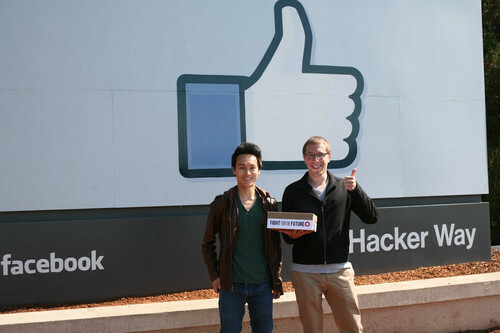 MENLO PARK, CA — Just one week after media reports that Facebook is facing a class action lawsuit that has already attracted more than 25,000 plaintiffs, activists from the digital rights group Fight for the Future showed up at Facebook’s corporate offices in California yesterday to hand deliver a box containing tens of thousands of petition signatures protesting the company’s abusive practices of tracking Internet users even when they are not on Facebook and conducting psychological experiments without consent. Esse post foi publicado em cidadânia, educação e marcado facebook por práticas abusivas, Fight for the future. Guardar link permanente.